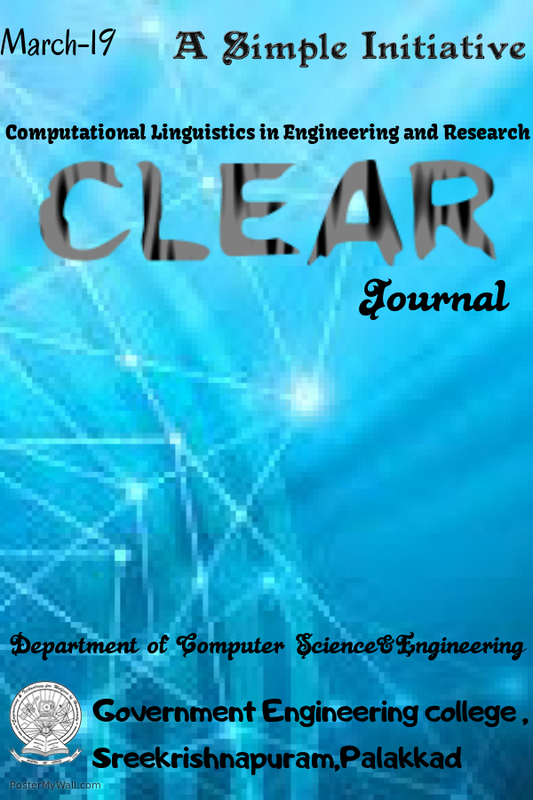 Nisha M, Reji Rahmath K, Rekha Raj C. T., and P. C. Reghu Raj "Malayalam Morphological Analysis Using MBLP Approach" published in IEEE International Conference on Soft-computing and Network Security(ICSNS 2015) , February - 2015, pp. 1-5. Read. Devisree V, Anjaly V, "Character relationship extraction in Malayalam", in proceedings of NC CLAIR-2014. pp. 19-20 Read. Sarath K S, Manu.V.Nair and P. C Reghu Raj, "Malayalam Dialect Resolution using CRFs", in proceedings of NC CLAIR-2014. pp. 11-15 Read.